Oh, those weather forecasters. They've already told us that February here in Indianapolis is going to be a lot like January was. Cold, snow, snow, cold. If one isn't careful, one could get lured into a false sense of doom ~ winter is going to go on foreverrrrrrrr. Take heart. Buck up, buttercup. Winter is not going on forever. It's going to go on for a few more weeks, maybe four or five, and then it will begin to sputter out. Pretty soon, at least starting next week after our next predicted snowfall of 6 to 10 inches has a chance to melt, I'm going to keep a sharp eye out for snowdrops and crocuses. Then before too long I'll be seeing daffodils, tulips, and hyacinths pop up all over. Then we'll start wondering how summer could have arrived so soon. I'm telling you right now, it's going to happen just like that. So get on with your seed orders. Call that garden designer you meant to consult with this winter. Get your grow lights out. Finish reading those gardening books you set aside for winter reading. Do it now. Time's a-wastin'. It's February. 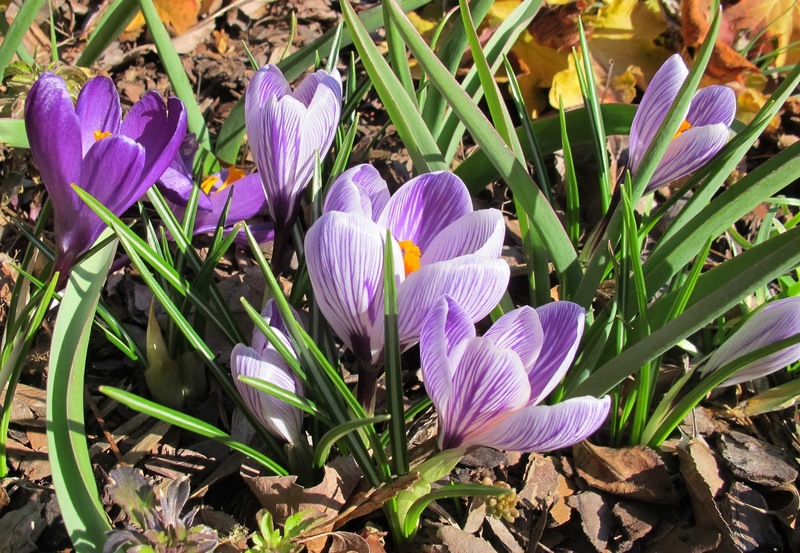 We must be warmer here in the UK because our snowdrops and crocus are flowering away at the moment. Some early narcissus are also in flower, so spring isn't far away, hope you get some warmer weather soon. Your right! Spring is coming... we just have to get through three snowstorms here this week, but we will do it!! I have just planted some microgreens for my salad. Indoors, needless to say. Yes, Spring will come, but I'm impatient!